Yearbook Shout Outs! Deadline is Friday, March 14th! Home » Flyers » Yearbook Shout Outs! Deadline is Friday, March 14th! 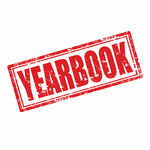 It’s that time of year…yearbook shout-outs are due! Please click on the “Shout-out FlyerAllSchool” below to access the info regarding shout-outs!